There’s definitely a rejuvenated feeling around the classic Puma King of late; since the most recent model made it’s debut at the end of last year, the new King has fit a succession of great looking colourways – and that continues with the Puma King & Puma King SL – White / Black / Ocean. 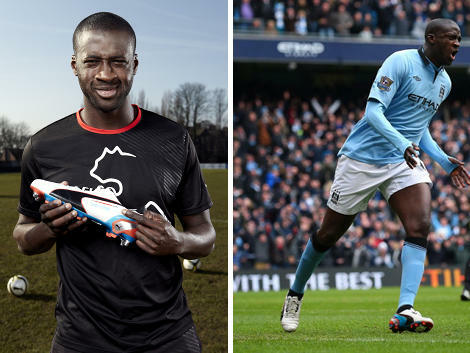 Maybe it’s the more modern styling of the 2013 incarnation of the King, but it seems that every colour seem to put on their flagship football boots looks outstanding. 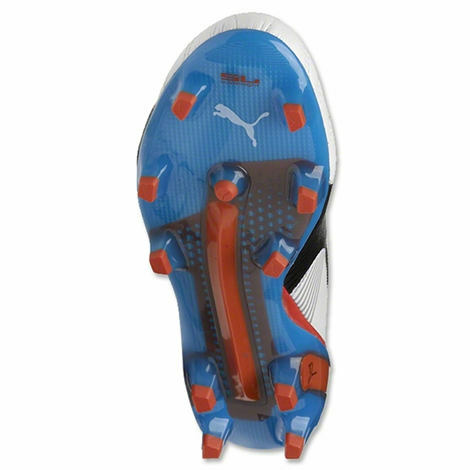 The new' Puma King' has received rapid player uptake, not just from lead wearers Yaya Toure, Mikel Arteta, and Michael Carrick, but also converting PowerCat players like Manchester United duo Nemanja Vidic and Phil Jones. 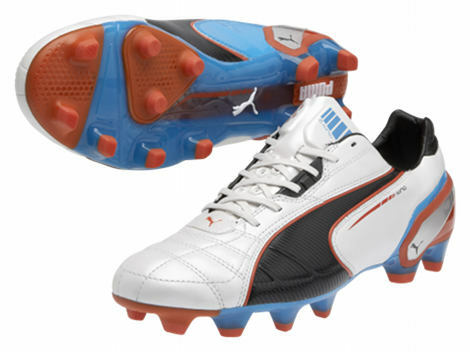 And that’s something we’ll expect to continue with the launch of the Puma King' – White / Black / Ocean, which really shows off the combination of technologies and stylings that go into the boot. The classic white forefoot vamp is perfect for letting the soft leather look at it’s best, whilst the Black Formstripe neatly shows off the textured synthetic. 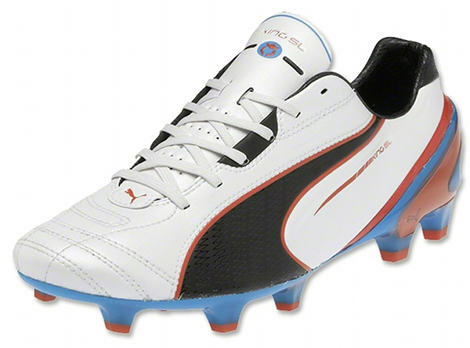 As with all ‘lead’ King colourway launches, there’s also a Puma King SL' – White / Black / Ocean' to match it’s standard counterpart. The King SL‘s soleplate is a Nylon/Pebax blend which features injected studs for a more low-profile ride than it’s natural leather cousin, perfect for speed junkies who still favour a classic looking boot. 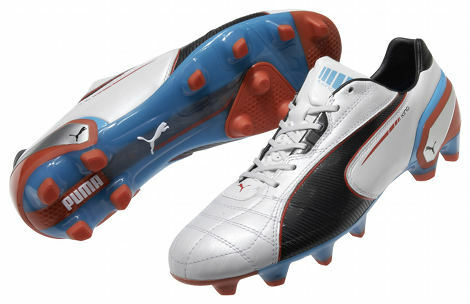 Tweaking the SL over the ‘standard’ King allows Puma to crate two distinctive boots, each with with their own benefits. The King SL' might lack natural leather for the upper, but in the weight stakes it’s unparalleled – weight 164g / 5.8oz to the King’s 238g / 8.4oz. Available to order now, the Puma King' – White / Black / Ocean' will set you back £125 / $150, whilst the Puma King SL' – White / Black / Ocean' is a costlier £155 / $250 US. Previous articleGARETH BALE ON: FOOTBALL BOOTS, EUROPE & MORE!